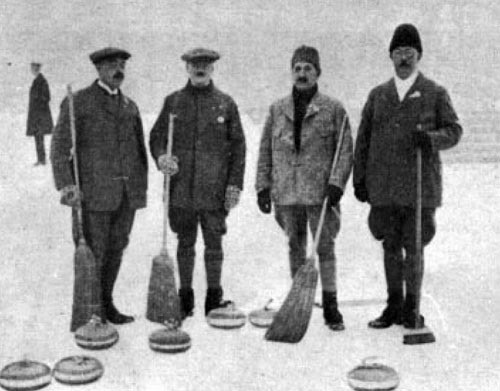 Curling has been a consistent Winter Olympics sport since 1998, but way before that, back in 1924, curling was once before an official part of the Winter Games. It was during the 1924 Olympiad that some of the oldest athletes – and, in fact, the oldest athlete – took home a Winter Olympics medal. Twelve of the 20 oldest winter medalists won their medals in 1924, all in curling and alpinism. Another three “aged” athletes, in later Olympics, won their precious metal in curling, as well. That leaves five bobsledders rounding out the oldest Winter Olympics medalists. Carl August Kronlund, at 58, was the oldest of them all. He was a member of the 1924 Swedish curling team, along with fellow top-20ers Karl Wahlberg and Carl Axel Pettersson.